CIP Construction has an active development pipeline with a number of projects that are either in the planning stages or under construction. This mixed-use development is under construction in the heart of Downtown Greensboro across from Newbridge Bank Park. The inspiration behind the design is to take convenience, innovation, and luxury to the extreme by providing upscale accommodations in an unparalleled location while offering the most desirable features and cutting-edge amenities. Carroll at Bellemeade will include a Hyatt Place Hotel and 289 luxury apartment homes, desirable amenities including a rooftop pool, and retail kiosks amongst the main corridors. The Avenue will be Wilmington's first living, shopping, and working community. 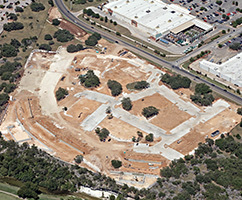 This extensive, mixed-use development is one of the most unconventional assets in CIP Construction's portfolio. 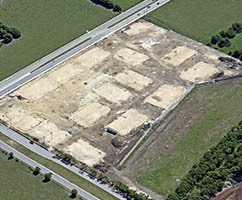 The development is planned for premium retail, restaurants, boutiques, office space, and 500 luxury apartment homes. It will also include a Westin Hotel with an upscale spa and premium conference space. 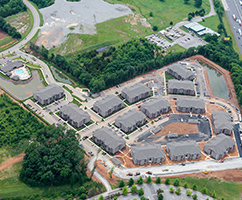 Everwood at The Avenue consists of 336 units and is located off I-24 on Robert Rose Drive in Murfreesboro, a submarket of Nashville, Tennessee. The property provides quick and easy access to premium retail as it is located directly across from The Avenue shopping center. Everwood is also moments from St. Thomas Rutherford Medical Center. This 312-unit community is located just north of Austin, the second-fastest growing city in the U.S., according to Forbes. This 312-unit community is off University Boulevard with close proximity to nearby class-A retail and job centers. 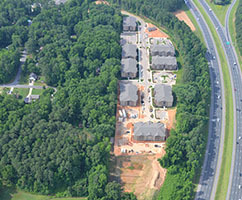 Located in Southwest Charlotte on Steele Creek Road, this 288-unit community is convenient to the Charlotte-Douglas Airport and a variety of shopping and dining at the popular Rivergate Shopping Center. It is also close to remarkable attractions including Lake Wylie and Carowinds Amusement Park. 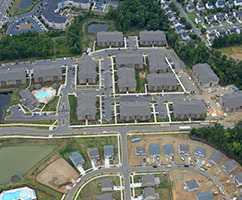 Bacarra Phase II is an additional 200 units to the 312 units that were recently completed in the first phase. This property is located in West Raleigh moments from Cary Town Center and convenient to the PNC Arena, NC State University, and the Raleigh-Durham International Airport. Ascot Point Phase III consists of 104 additional units to an already existing 334 units. This community is located just off Hendersonville Road in Asheville, North Carolina with easy access to I-40 & I-26, The Legendary Biltmore Estate, Downtown Asheville, shopping, dining, and entertainment. At the same time, breathtaking views and the natural wildlife setting of Blue Ridge Parkway present a peaceful, serene atmosphere. 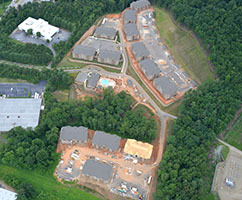 Greymont is a 356-unit community located in Asheville, North Carolina on Sardis Road, offering peaceful living and gorgeous mountainous views. At the same time, it is convenient to Interstate 26 and the 75 top manufacturer and retail outlets of Asheville Outlets. 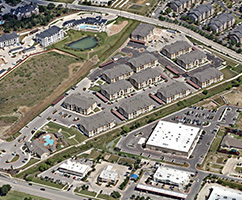 Davies Ranch is a 360-unit community located in North Austin in the Tech Ridge area, a preferred corridor for expansion amongst employers and retailers. The property's location provides easy access to blue-chip companies and several tech employers including General Motors, Samsung, and Dell. Davies Ranch is also convenient to a variety of retail venues and eateries at the Shops at Tech Ridge, outdoor recreation at Walnut Creek Metropolitan Park, and other popular attractions. 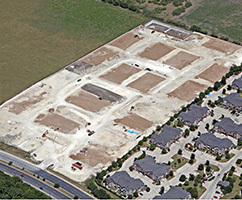 Hollybrook Ranch is a 336-unit community located just north of Austin in Round Rock, Texas. This community offers convenient access to Dell's World Headquarters, major roadways, premium shopping and dining, and a variety of popular attractions. 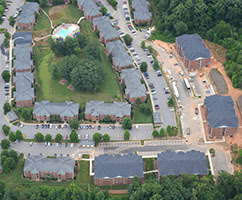 Carroll at Rivery Ranch consists of 360 garden-style apartment homes.